The Field Teaser from Wilder Project on Vimeo. Holly Wilder takes her choreography out of its traditional proscenium trappings to invite deeper audience connections. She believes seeing dance out in the world allows the audience to relate to performers on a more human level, an intimacy that is felt in her sun-drenched film, The Field. The Field is one of nine dance films featured in the fourth-annual Opine Film Festival, March 30 at Synchronicity Theatre. The Opine festival is part of Atlanta Dance Collective’s performance season, and it continues festival founder Britt Fishel’s aim to provide new space for dance on film in the city. As with other local film series — EnCore Dance on Film and Dance for Reel — the Opine Film Festival has attracted the attention of choreographers worldwide. Based in New York City, Wilder’s dance film company, Wilder Project, takes a warm approach to storytelling. Her raw, narrative movement vocabulary hits close to the heart. An accomplished dancer, Wilder and her cinematographer brother, Duncan Wilder, cofounded Wilder Project several years ago, and they have since shown films at more than 20 festivals across North America, with mentions in Dance Magazine, The Boston Globe and Cultural Weekly. 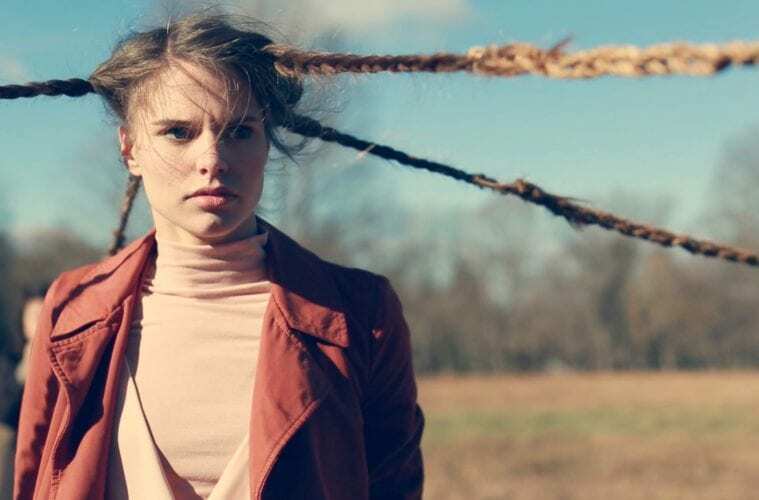 The impetus for The Field came after a dancer approached Wilder about wanting to cut off her long locks. In the film, a shimmering gold field serves as the backdrop as dancer Shelby Claire stands at the center of a cross formed by four characters, each representing a voice in Claire’s head. An exhaustive tug of war ensues as each character tugs at her hair. Wilder explains how the film’s rural location became a metaphor for Claire’s mounting feelings of isolation. It’s evident in the movement, the tension building as she takes drastic measures to cut off the turbulent chorus of voices and find peace in the silent, sprawling grass. The film’s post-production phase reflected the fragmentation of the film itself — both music and scripted audio were composed after the images were layered and cut together. As a viewer, it seems that Wilder and Claire’s character share similar leaps of faith, both gripping and grappling with a pair of cutting shears.